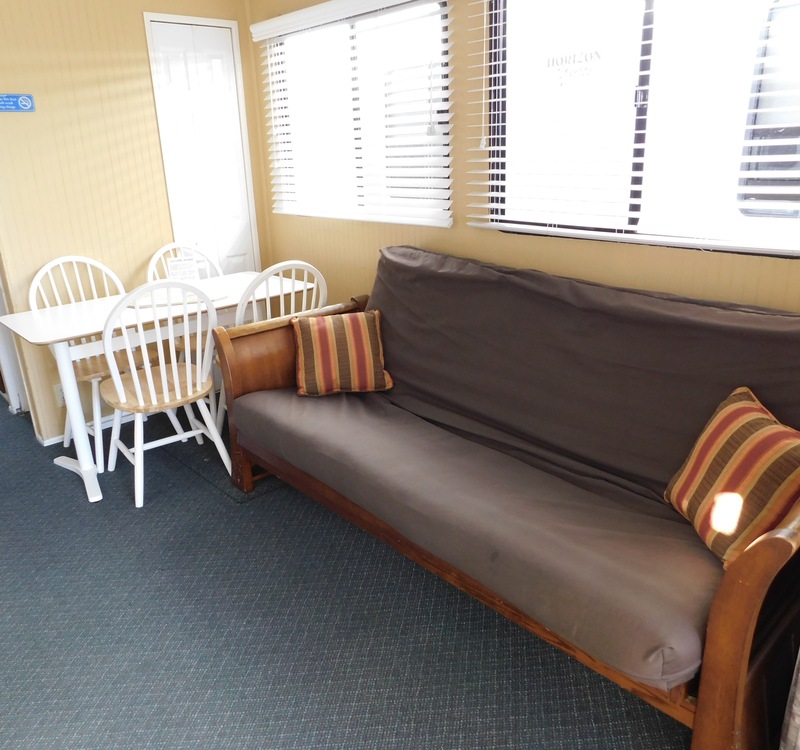 The main salon features the helm, living room with small flat screen TV, dining table and 4 chairs plus galley. 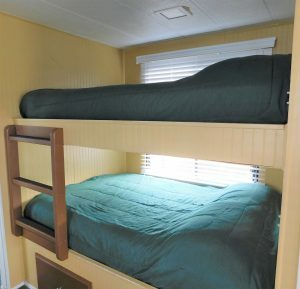 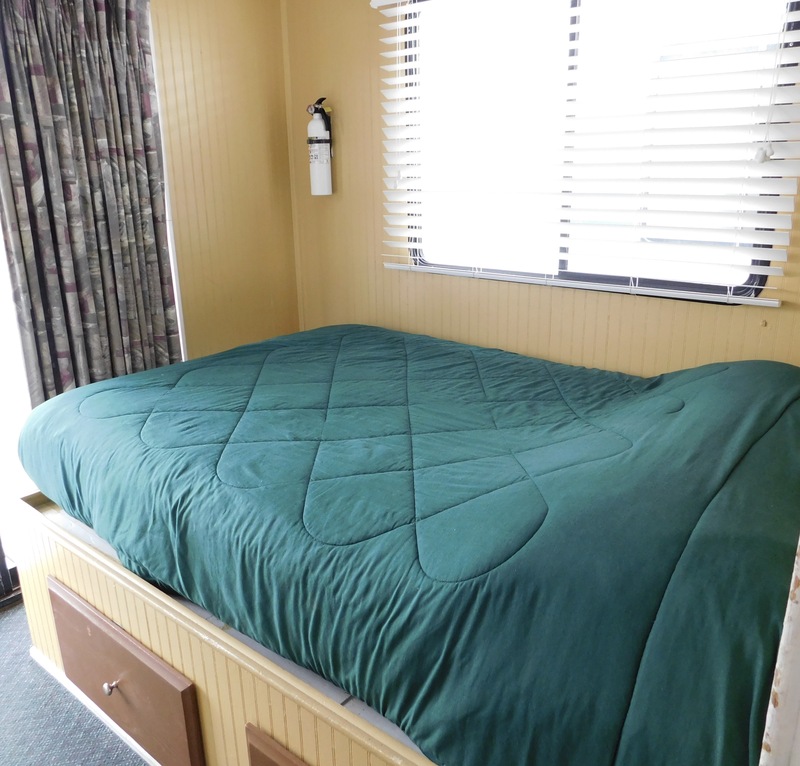 The boat has one private stateroom with full size bed and two full size bunk beds across from the galley. 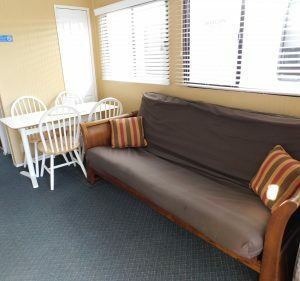 Add the full size futon in the main salon and this boat comfortably sleeps eight people. 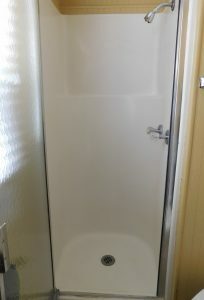 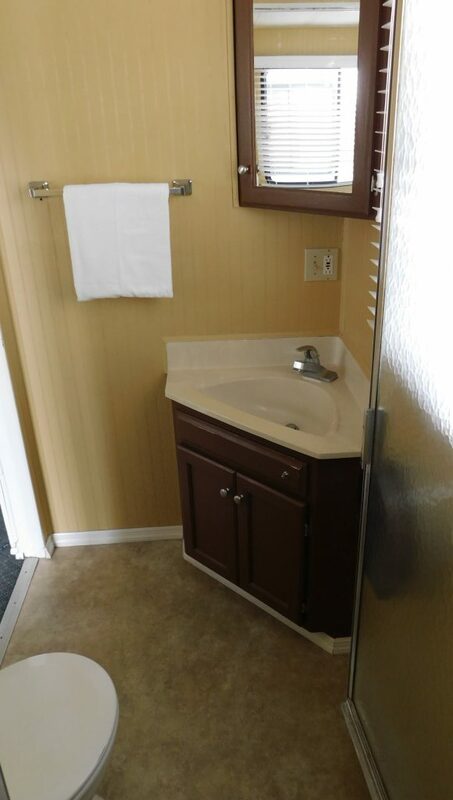 The boat has one full bath with shower. 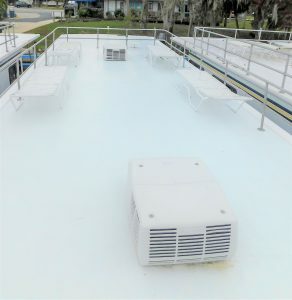 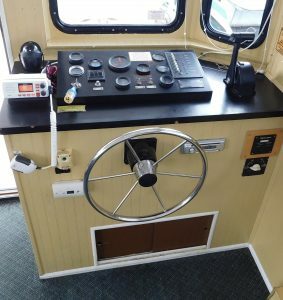 This boat is equipped with air/heat ceiling units. 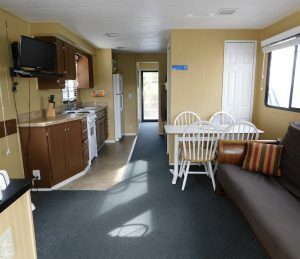 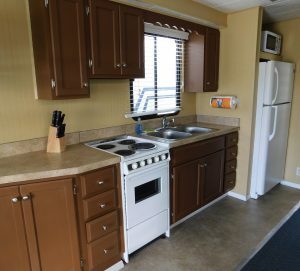 The front deck features a propane gas grill, ice chest, table and four chairs. 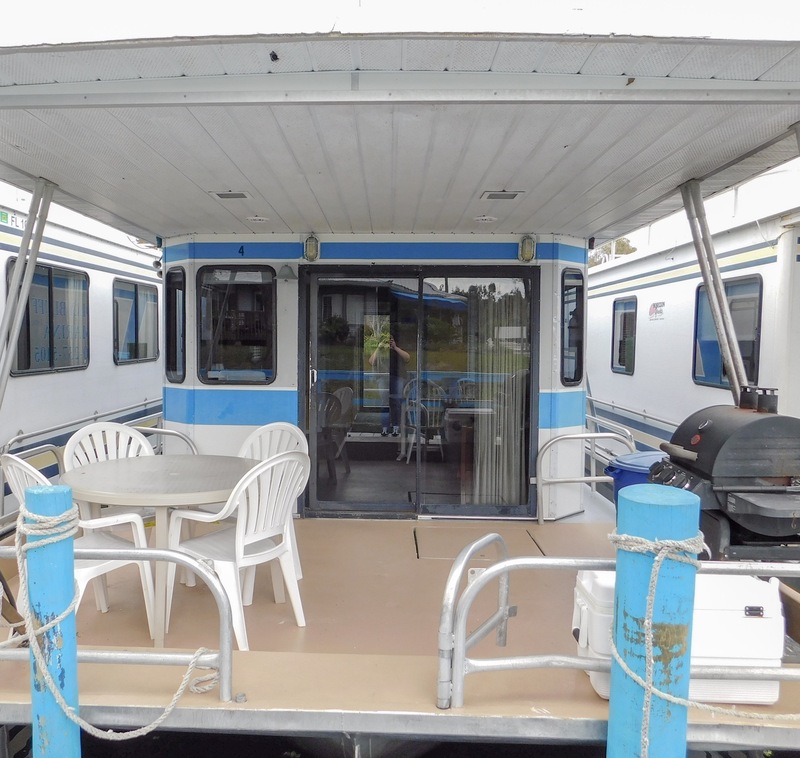 The back deck has space for stowing kayaks and water toys. 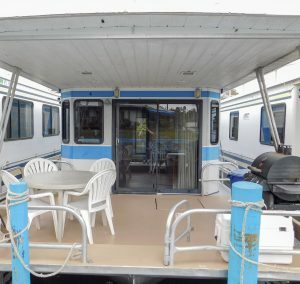 A ladder on the back deck allows access to the top deck. 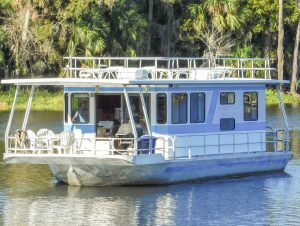 The top deck has loungers for sunbathing. 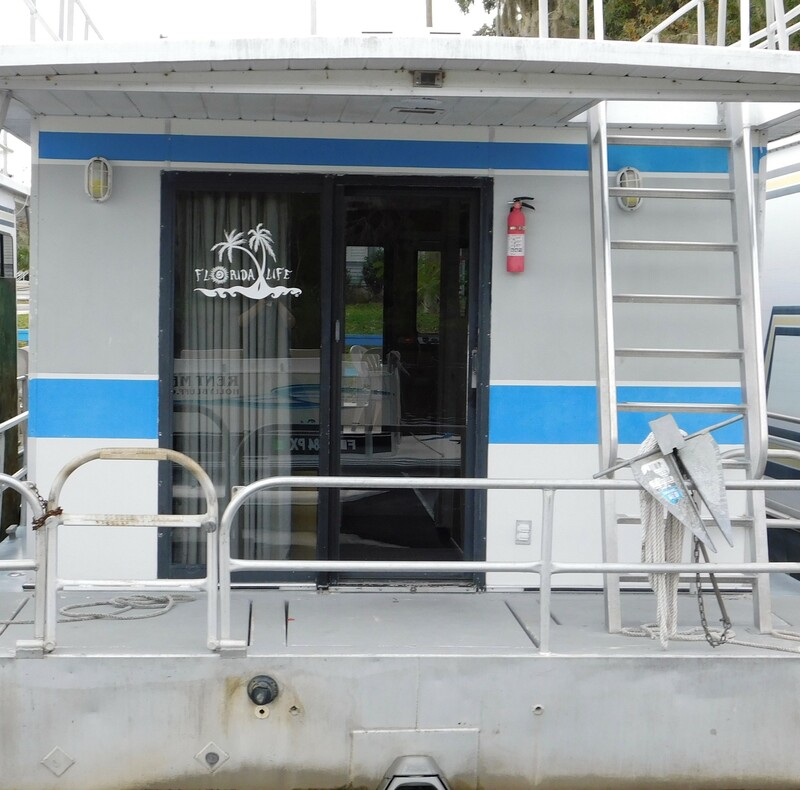 This boat has a walk-around deck.